As midwifery care for well-woman and prenatal care gains popularity across North Carolina, UNC Midwives’ 19 years of excellence and expertise provides an opportunity to lead other practices as they incorporate midwifery care into their programs. 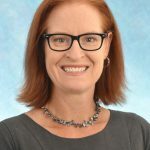 Cox is the first medical director of UNC OB-GYN’s postpartum unit, also known as 5 Women’s. 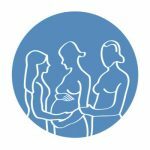 Group prenatal care – such as the CenteringPregnancy model used by UNC Midwives – is favorably recognized by the American College of Obstetrics and Gynecology. The virtual tour includes 360-degree views of the places prenatal patients and their families are likely to visit. NCACNM is the North Carolina affiliate of the American College of Nurse Midwives. Poole has been an important part of UNC OB-GYN’s operations for sixteen years. Lisa Yarger, author of ‘Lovie: The Story of a Southern Midwife and an Unlikely Friendship,’ will come to UNC. UNC OB-GYN’S CenteringPregnancy® program has received official site approval from the Centering® Healthcare Institute, the result of a two-year process to establish and certify this innovative form of group prenatal care at UNC. UNC OB-GYN added two new faculty to its division in late September and early October. The popular group prenatal care model is good for moms and babies before delivery and beyond. The two posts showcased a patient who sought out UNC after a traumatic birth and UNC Midwife Jenny Cox, who helped the patient reach her goals. This is the second consecutive year UNC Midwives has received this designation. UNC OB-GYN at Timberlyne has relocated down the street to the new UNC Health Care at Weaver Crossing building. Davenport, CNM, MSN, MPH, joined UNC Midwives in March 2016. Infinito, CNM, MSN, joined UNC Midwives in January 2016. The upcoming January group is open to women who are due in June 2016 and beyond. This award was established in 1990 by the School of Medicine to express the faculty’s respect and appreciation for nurses whose personal contributions have made a significant difference. UNC Midwives welcomed Maaske in November. The American College of Nurse-Midwives has released a series of videos on the midwifery model of care. This week (Oct. 4-10, 2015) is National Midwifery Week. Learn about the division and midwife-led care, and read Q&As with three UNC Midwives on why midwifery matters at UNC and how it fits in to expert, evidence-based obstetrical care at UNC. The designation comes from the American College of Nurse-Midwives benchmark program report. Keller graduated from UNC’s School of Nursing and East Carolina University and comes to UNC most recently from Duke University. The story and segment featured UNC Midwife Meg Berreth, who was part of the team that brought the practice back to UNC. Trina Pugh from Burlington, NC shares her experience with UNC Midwifery. Joscelyne Brazile from Durham, NC shares her experience with UNC Midwifery. New VBAC guidelines. Who’s a candidate? The cesarean delivery rate in the United States has increased from 4.5% in 1965 to 32.3% in 2008 (Guise JM, 2010). Meanwhile, the rate of Vaginal Birth after Cesarean (VBAC) has decreased from its peak of 28.3% …. Protecting the Perineum: What Can Be Done? A very common concern among women as they approach delivery is preventing lacerations during vaginal delivery. Several options are available that may reduce the occurrence and severity of perineal (vaginal opening) lacerations. Today, women approaching or in menopause are looking to maintain health and wellness without hormones or unnecessary medications.